The Lock Up’s flagship facility in Park Ridge, Illinois was completed at a cost of $4,000,000, and houses approximately 900 storage units within its 98,000 sq. ft. footprint. The building was designed to use architectural load bearing precast concrete panels with brick pattern form-liners. The interior structure is light gauge steel frame with corrugated metal decking and concrete topping. The Owner’s program and municipal requirements led to the selection of the structural elements in order to simplify construction, improve cost efficiency, and shorten construction time. 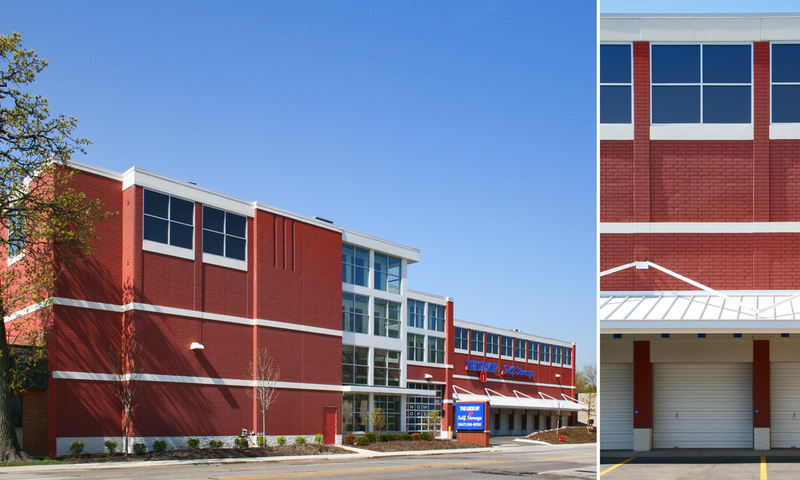 The attractive brick patterned precast concrete wall panels allowed the design team to assimilate a storage facility in a neighborhood setting.